While slow to transition into the convergent world of digital and mobile, out of home (OOH) is finally catching up. Digital expansion in OOH is at an all-time high. In fact, Google estimates that more than 50 percent of all mobile searches have local intent, with 17 percent of search happening while consumers are on the go. The proliferation of new inventory, combined with enhanced utility is certainly allowing the OOH industry to contribute to the development of smarter cities and ensure its existence does not become extinct throughout this fast-paced digital evolution. 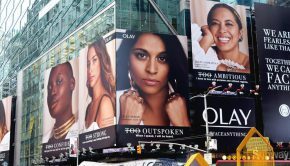 According to PWC’s Global Entertainment and Media Outlook 2016-2020, OOH advertising has the strongest prognosis of the traditional media types, primarily due to growth in DOOH from 38.3 percent share of total OOH ad revenues in 2016 to a forecasted expectation of 46.2 percent share in 2020. 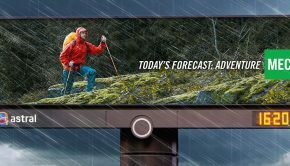 So, as marketers, which key trends will affect the growth of OOH, and what warnings should we heed? 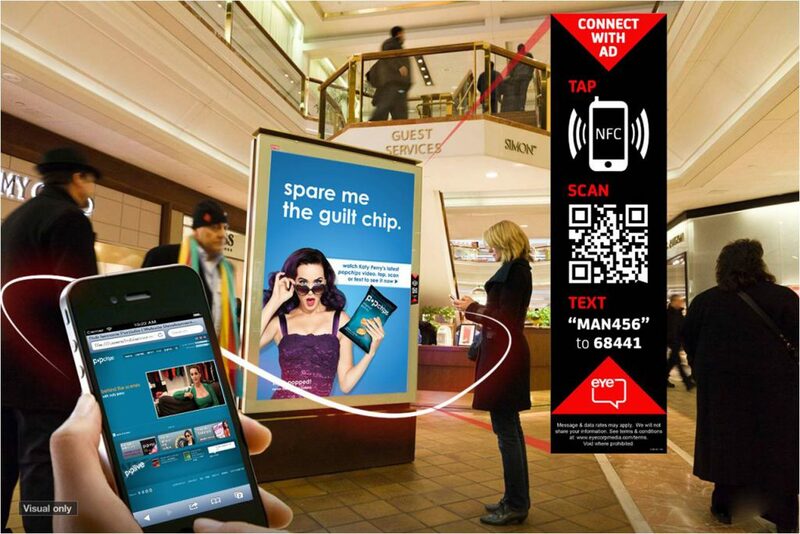 SMS, QR codes, NFC, Geo-Fencing, Beacons, Wi-Fi, and Visual Recognition have all helped build recognition for OOH’s capacity to compete as a connected channel within the convergent media landscape. Surpassing the role of a passive medium with the sole purpose of driving awareness, OOH now engages audiences in many ways including experiential interaction, social enhancement and real-time activation, all the while collecting data to demonstrate and optimize performance. Advertisers can now apply a set of business rules for serving creative via DOOH using proximity media to increase brand relevance during the moments that matter most. 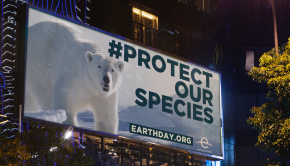 To date, a majority of DOOH investment has primarily focused on delivering awareness similar to static OOH, only more efficiently due to production costs. However, with the channel’s ability to be more relevant during key consumer moments, advertisers would be remiss not to explore DOOH capabilities beyond awareness, increasing the opportunity for developing brand advocacy, as well. In 2017, we will see more brand warriors exploring contextual relevance through dynamic creative optimization (DCO) or media placement to drive engagement and better quantify OOH’s contribution to the overall media mix. 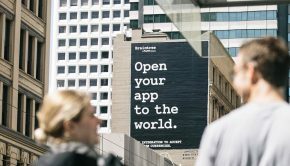 Efforts by leading OOH companies like Clear Channel’s launch of RADAR, OUTFRONT’s introduction of Smart Media, or Intersection’s launch of LinkNYC attest to the industry’s movement in the direction of becoming a more connected channel. While personalization through optimization of digital media is certainly a trend that will continue to grow in 2017, we need to remember that OOH is an amalgamation of public devices, not private like that of mobile or tablet. Unless within an enclosed space (like a taxi, for example), consider the wastage generated by non-relevant content before launching personalized messages out of the home. Hyper-Targeting – Tag You’re It! Through mobile technologies we are now able to define an audience’s OOH patterns based on actual (rather than reported) behavior. The ultimate goal of any communications plan is to affect a change in audience behavior. Richer targeting capabilities enable an advertiser to better define its audience, utilize native space, and drive campaign efficiency as we’re seeing with other digital media. However, common fallout of hyper-targeting in digital media is frequency exhaustion. 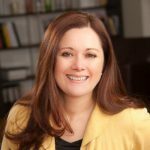 Where reaching a critical mass was once required before driving effective frequency, today that critical mass has shrunk to reflect a narrower target with a higher propensity to deliver campaign goals. The ability to hyper target has unfortunately led some advertisers to actively bombard these more narrowly defined audiences online – at times beyond the threshold of 5-7 – in an effort to deliver conversion. This can lead to the result of brand aversion, rather than brand advocacy, which is hardly desirable for brand marketers. In 2017, advertisers will also begin to analyze AI to better understand current and prospective consumers based on a combination of traditional and real-time behavioral parameters. They will cast a wider net over their more accurately defined target, understanding the negative psychological responses that come along with advertisers stalking consumers and consumers realizing they’re being tracked. OOH media, which has played an integral contributing role in delivering offline behavioral data, will be recognized as a key medium for relevant reach and delivering frequency within a geographically native space, providing true campaign efficiencies. The introduction of programmatic OOH in late 2014 has certainly provided more flexible buying solutions for digital OOH while further reducing the buying friction with other digital media, as advertisers look to buy audiences rather than channels. Today in a landscape with an extensive connected digital footprint and a plethora of real-time behavioral data sources, OOH has become part of an audience solution beyond a pure location play. Finally, in 2017 we expect to see more media owners enter this. Media owners will also continue investing in their own developing proprietary models for capturing and mining behavioral data to better define and target audiences out of the home. The expansion of the programmatic marketplace offers media owners creative ways to manage supply and demand, all while providing advertisers with more agility in buying OOH media. With savvy media buyers at the helm, programmatic can provide an ideal opportunity to deliver best value for investment in OOH. However, even while it is an audience-based media solution, environment should not be ignored. For example, a fast food brand has no business advertising in a sterile, medical environment like a doctor’s office. A clear understanding and management of environmental expectations will ensure your client receives the best value for their investment in every space. With audiences on the move more than ever, OOH has the capacity to be the most compelling proximity medium over the next 12 months, enhancing its capabilities to reach, connect, and collect audience profiles out of the home.